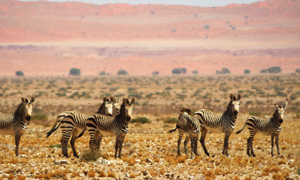 The best spot to experience the living desert is on our 13,000 ha farm, which was pronounced as a private nature reserve in 1999 and hosts the up market Namib Naukluft Lodge. Stunning sceneries invite you to nature drives and walks. Enjoy your stay in unexpected comfort and friendly hospitality. 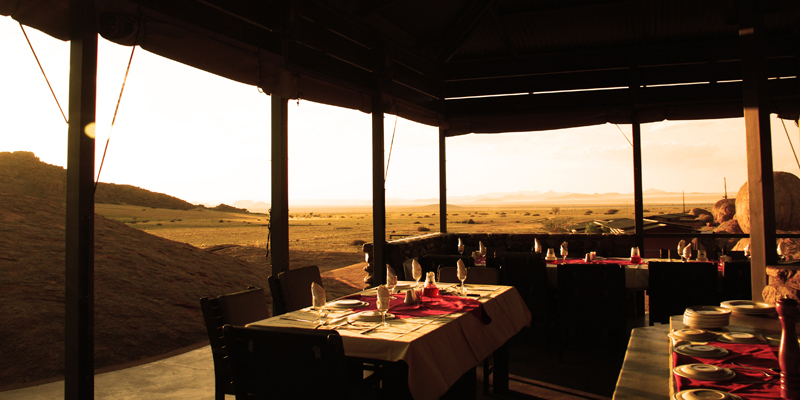 The Lodge offers a variety of activities and we recommend a stay of two to three full days. 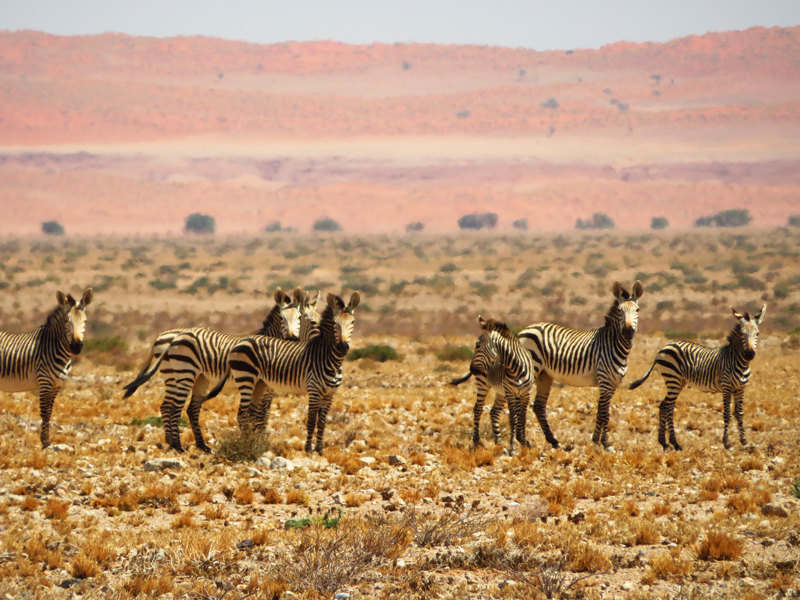 Enjoy the ever-changing pastel colors of the beautiful Pro-Namib. Use the morning hours for an easy climb to the top of one of the adjacent granite hills or a walk in the vicinity. Explore the diverse flora and fauna, where the trees grow seemingly out of the stones. Relax at the crystal clear swimming pool during the heat of the day. In the late afternoon you may join a ‘sundowner’ – drive to the natural marble mountains on the farm. Listen to the evening sound of the barking gecko – a concert never to be forgotten. The clear night sky invites you to an unreal stargazing experience. Try to spot the Milky Way and the Southern Cross! 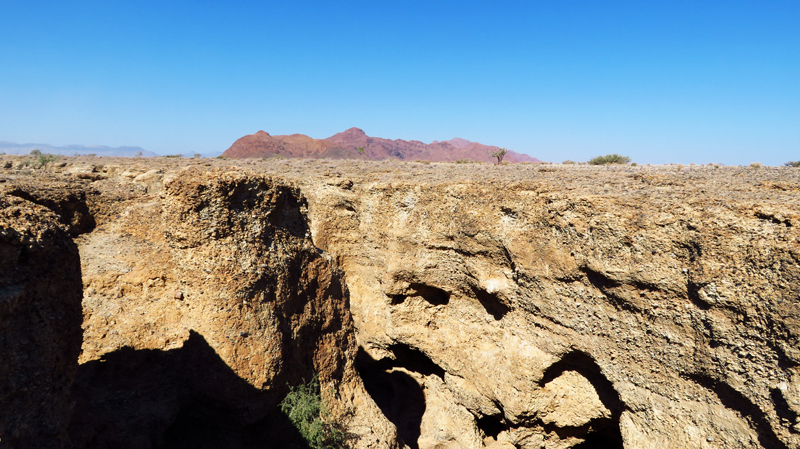 We’ll show you the oldest desert on earth. Our friendly staff will make your stay unforgettable. 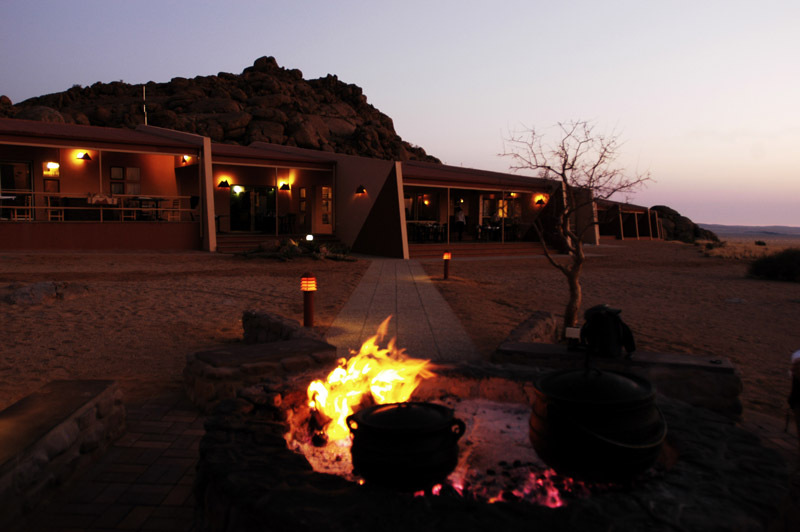 The Soft Adventure Camp has been designed for the nature loving visitor, who wants to experience the undisturbed Namib Desert, without using all the facilities and luxuries of a lodge. It has predominantly been used by overland lovers and groups: The ideal get-away for that special ocassion you want to share with your loved ones: Weddings, anniversaries and family gatherings. For these special groups, the individual chalet offers all comfort you need, the private space. 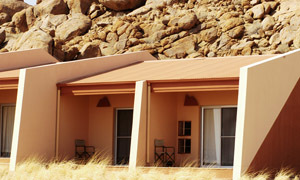 The Soft Adventure Camp is located in the outcrops of the granite hill, each unit individualy placed in order to keep the open view onto the plains of the savannah. Each of its 15 chalets is based on a fixed structure with canvas partitions offering a spacious interior with en-suite facilities. The canvas is giving you the feeling of a close to nature tented camp, yet the fixed structure offers the protection of a plain and rustic room. All chalets are equipped with a water-cooler system and air-ventilations. Shaded space in front of the bungalows enables you to enjoy your view during the early morning hours or during sunset. The well maintained walkways will lead to the centrally located main building. The main building is based on top of the hill. You are invited to make use of this area during the course of the day. The bar offers cold beverages and the light wind offers a nice cool breeze during the heat of the day. 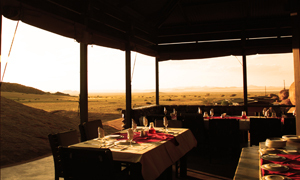 It is also the dining area where dinner is a special event: Watch the chef prepare your meal right in the centre of the boma. It is a traditional meal, the celebration of the day, a social get-together with new friends. A splash pool is right on site, nestled in the rocks. It offers you the desired refreshment after an adventurous day! During the course of the day you may want to participate in any of the guided excursions or just relax and enjoy the beautiful desert scenery. 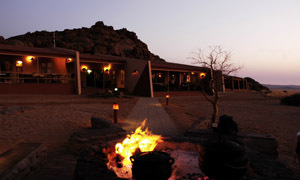 The near-by waterhole attracts springbok, ostrich and zebra and gives a peaceful impression. 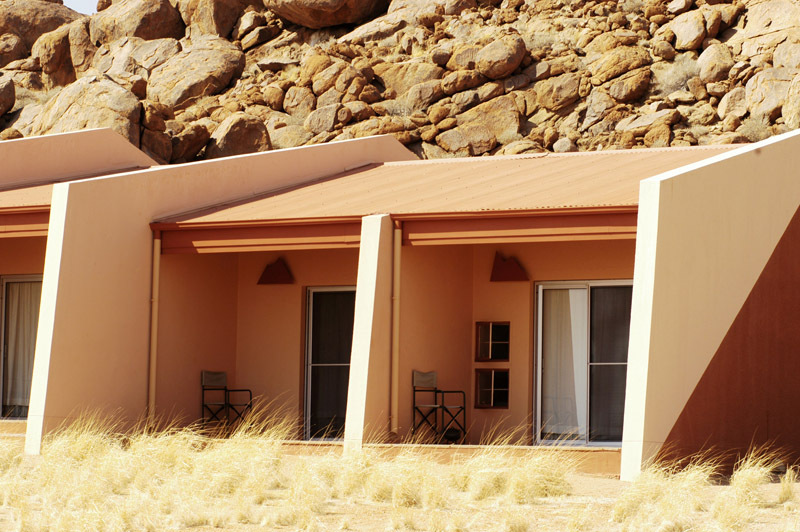 Namib Naukluft Lodge consists of a total of 16 rooms and offers the ideal gateway to the Namib Desert for the individual traveler and small groups. Please our gallery to see our rooms! 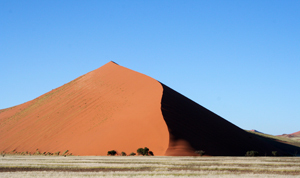 The Sossusvlei Excursion is organised by the lodge in a 4x4 overland vehicle on a daily basis. Secure your seat and book in advance. An early morning rise, with a snack before leaving, enables you to arrive at Sesriem, the park’s gate at around sunrise. 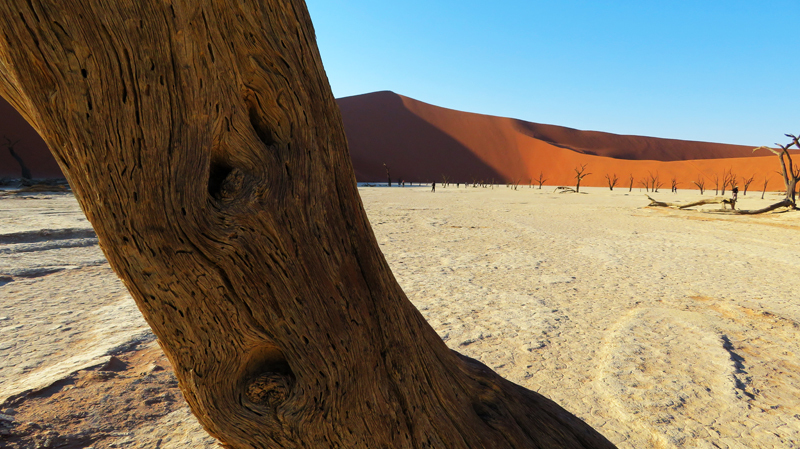 Enjoy this unique desert scenery with some of the highest dunes in the world. 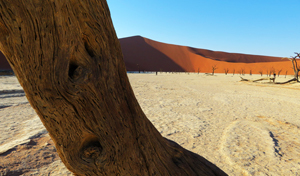 The dynamic and star-shaped dunes are ideal for the keen photographer. 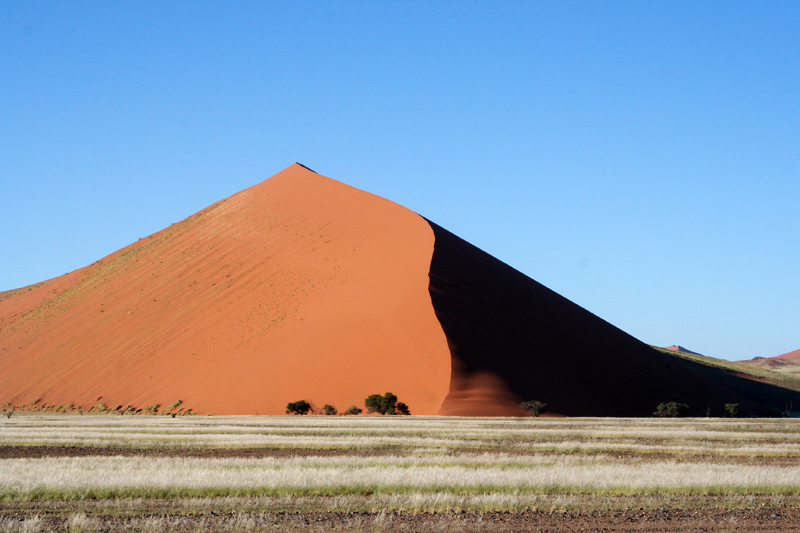 Climb one of the over 300 m high dunes and you will be overwhelmed by the view. A picknick breakfast is served under shady camelthorn trees. 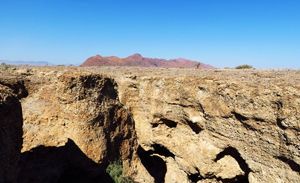 Visit the rugged Sesriem Canyon before returning to the lodge for your lunch. 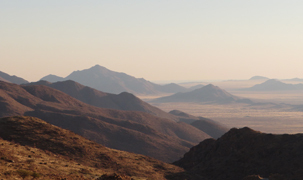 During the early afternoon hours a 4x4 vehicle from Namib Naukluft Lodge will start on an extensive desert drive on this Private Nature Reserve. This is undisturbed nature! You cross the dry riverbed of the Tsondab and visit the Moringa Forest – a hidden treasure – a spirit in the environment! 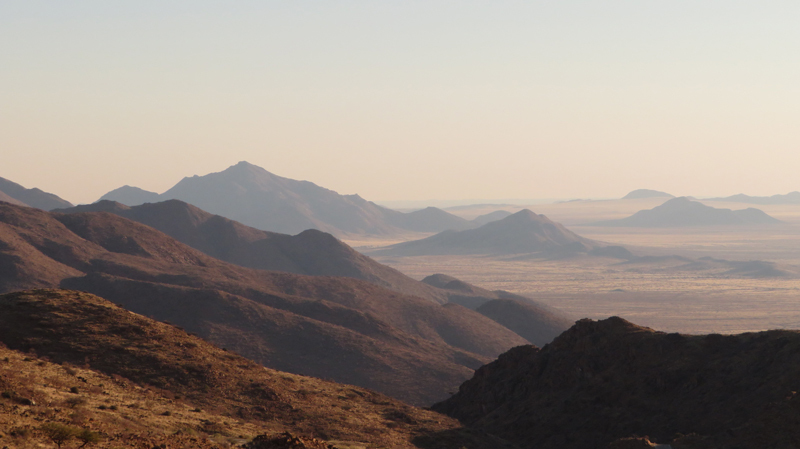 We get to a spot, where you can feel the solitude of the Namib: a 360 degrees view! Enjoy the huge open grass savannah, stop for some snacks and refreshments before returning on a scenic route, where, depending on the season, herds of springbok and oryx antelope can be seen. A 9-hole desert golf course offers a golfing experience of a different kind. This is best enjoyed during winter months: May to September. The lodge has two sets of golf clubs available for guests.